Use PLA instead of ABS since it shrinks much less. Add supporting material on first layer as slic3r 3mm brim (or put a structured layer below raft) to attach better to the bead. 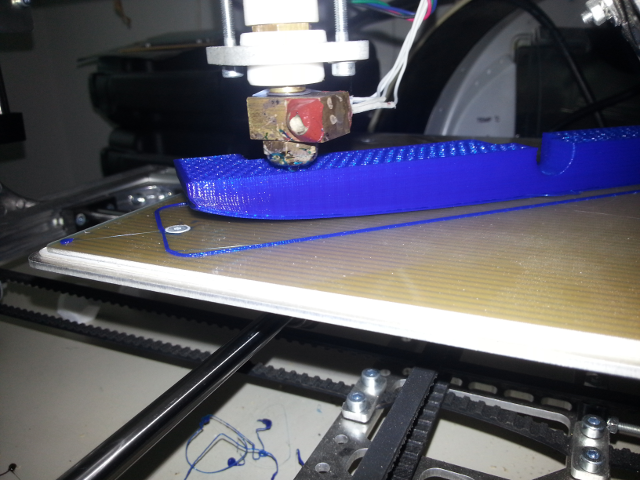 Decrease infill density so less material is printed (getting 5mm wide honeycombs).